Bengaluru FC, last year's runner-up to Chennaiyin, remains on 31 points after 15 matches and will have to wait to seal a playoff berth. 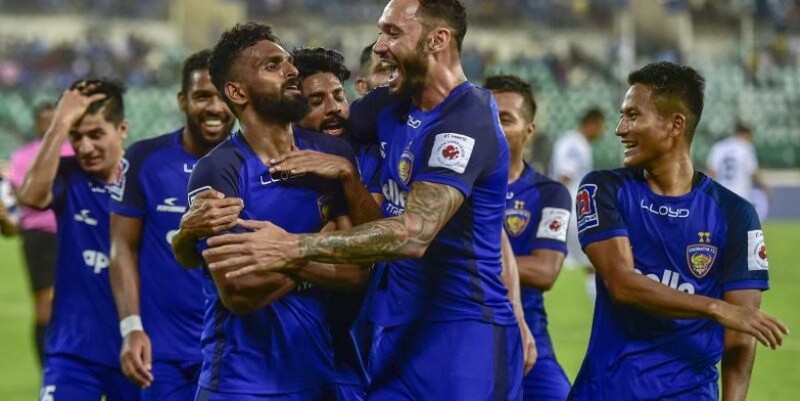 (Photo: PTI) Chennai: Defending champions Chennaiyin FC notched up a 2-1 win over table-toppers Bengaluru FC 2-1 for only their second victory in what has been a disastrous season in the Hero Indian Super League here on Saturday. #CHEBEN proved to be an end-to-end affair where the current league leaders, @bengalurufc fell to a 1-2 defeat in the hands of defending champions, @ChennaiyinFC . — Indian Super League (@IndSuperLeague) February 9, 2019 Chennaiyin, on the other hand, took its tally to eight points from 15 games but remains at the bottom of the table. — Indian Super League (@IndSuperLeague) February 9, 2019 Chennaiyin FC did not stop there and kept attacking and two minutes before the half-time, Gregory Nelson doubled the lead when he headed Laldinliana Renthlei's cross into the BFC net.